I am trying to add though bubbles to pictures and have found a nice bubble png I can put on top of my pictures and that works fine. Now I need to crop the thought image to the central area of the bubble image. 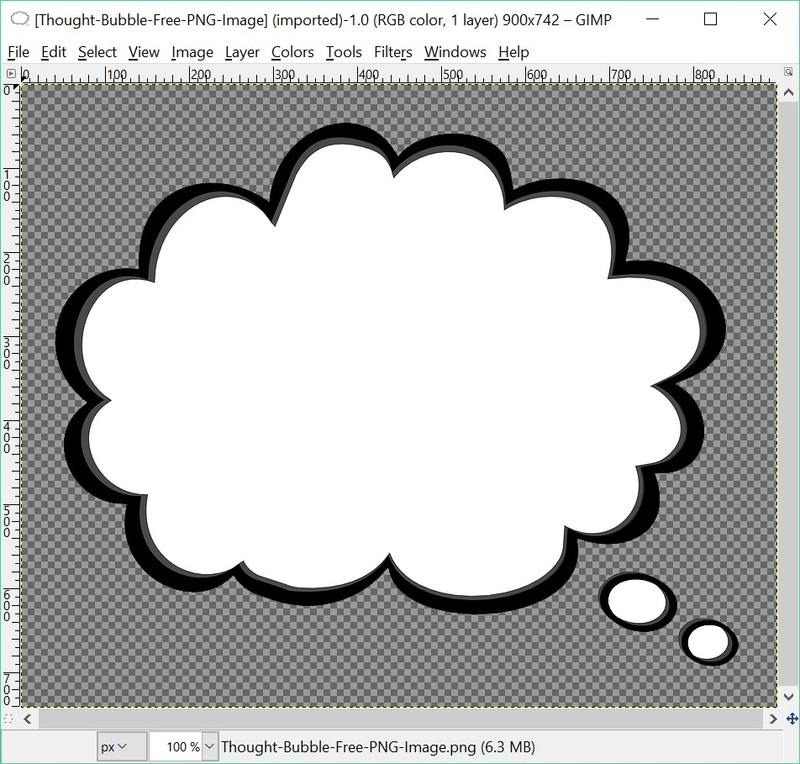 I can use the color select tool on the bubble layer to get the cropping area but I cannot work out how to crop the thought layer using that selection to trim the legs in this image to the size of the bubble. As soon as I switch to the thought layer the selection area changes.